News of Princess Piggy Poo’s restored health was prematurely reported a few weeks ago. She was good as new for only a few days after that post was made. Then the pain and bleeding from her bladder stone returned. For the past couple of weeks, we have been working, once again, to alleviate her issues. When your guinea pig acts “different than usual” take her/him to a guinea pig vet. If you spend time with your pet, you will know when s/he is acting different than usual. You may receive adequate care at a veterinarian that doesn’t regularly see guinea pigs, but it will likely save you time and money to initially go to a vet that specializes in cavies. Look for a “small animals” or “exotics” veterinarian. Look for ways to include more fluid in your cavy’s diet such as leaving vegetables and fruits wet after rinsing and exercising her/him more to create thirst. Filter tap water to reduce impurities. Don’t blame yourself — just fix the problem. Guinea pigs are prone to bladder stones, whether due to reasons you can control or genetics that you cannot. Do the best you can to keep your cavy healthy. Princess Piggy Poo hopes your cavy doesn’t have to endure the pain and suffering she experienced. The last couple of weeks have not been easy on Her Momma the Queen either. Administering injections, dosing medications orally and infusing fluids subcutaneously are activities for trained medical professionals and, it has been determined, mommas that love their piggies. Luckily, subcutaneous fluids and medications helped Princess Piggy Poo pass her stone without surgery. Now, we’ve made changes in hopes of preventing another episode. I thought I knew most of the information on this list but Princess Piggy Poo still got a bladder stone. Hopefully, this valuable lesson will prevent further episodes for all of our guinea pigs. Here’s to good health — and that’s priceless. P.S. The reason I shared the cost of this “lesson” is so people can be aware of the potential medical expense of caring for a small pet. Please be aware of the commitment you make when adopting a pet and choose to be a responsible pet parent. 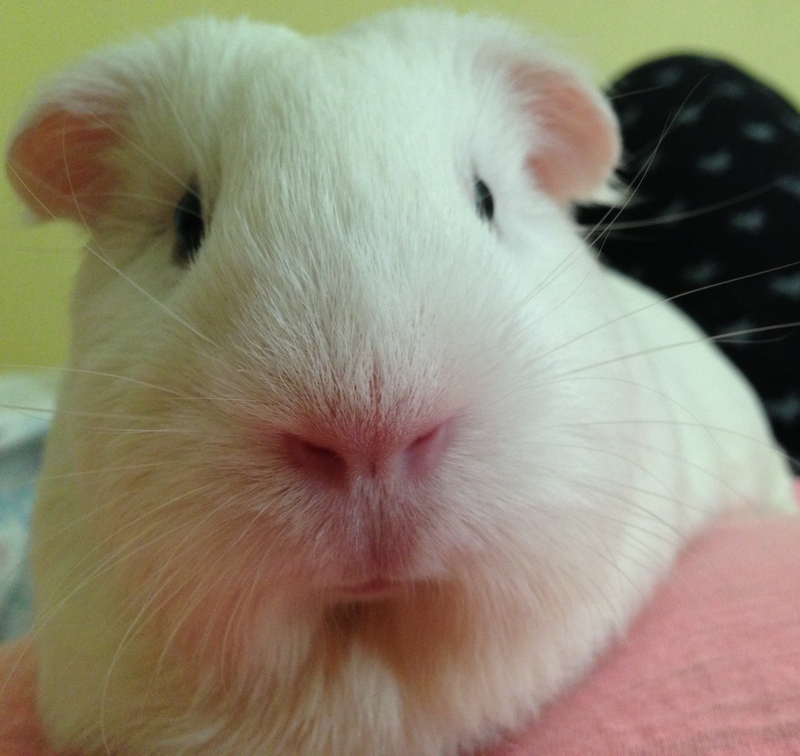 This entry was posted in Guinea pig diet and tagged bladder stone, cavy, guinea pig, guinea pigs, health, pellets, pet, princess piggy poo, timothy hay, vet, veterinarian. Bookmark the permalink.